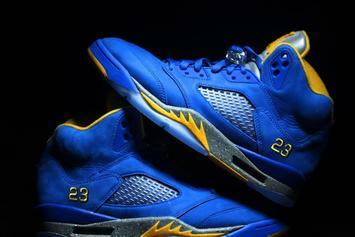 Our best look yet at the 2019 "Laney" AJ5. 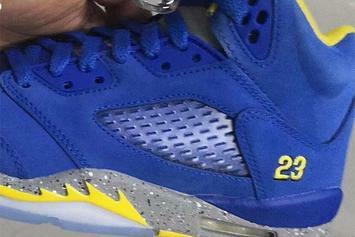 An alternate "Laney" AJ5 rumored to drop in January. 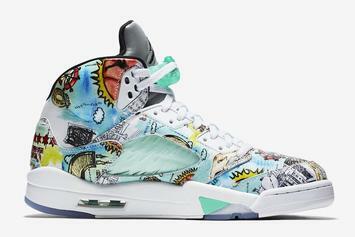 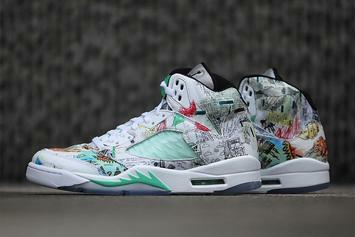 "Wings" AJ5 features designs and illustrations from students at Little Black Pearl. 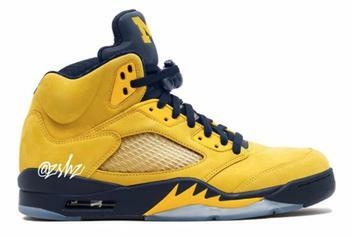 Our best look yet at the new Chicago-inspired Air Jordan 5s. 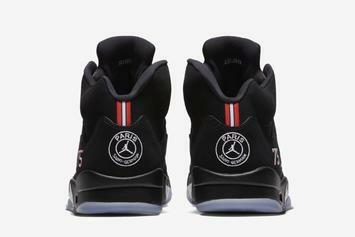 The PSG Air Jordan 5 that won't be releasing. 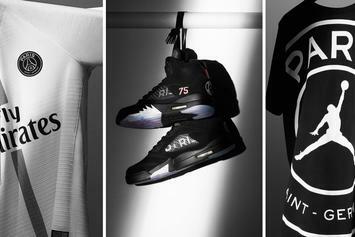 First drop in the PSG x Jordan Brand collection arrives tomorrow, 9/14. 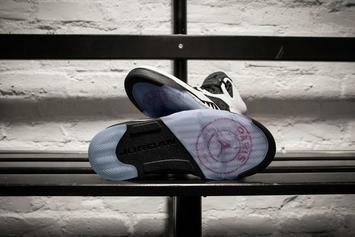 PSG x Air Jordan gear is on the way. 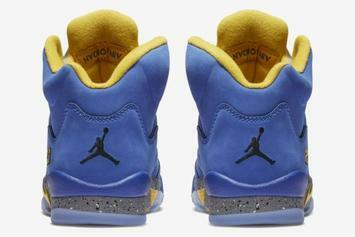 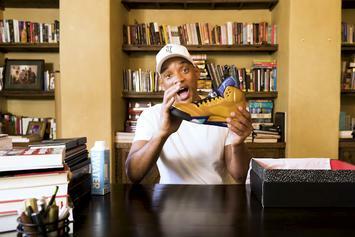 Smith unveils upcoming Grape "Fresh Prince" 5s and an exclusive gold colorway. 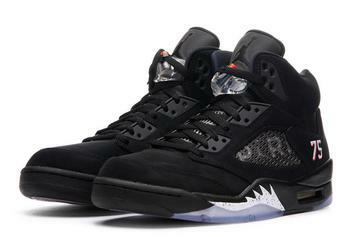 PSG Air Jordan 5s rumored to release in September. 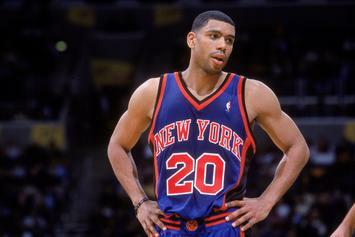 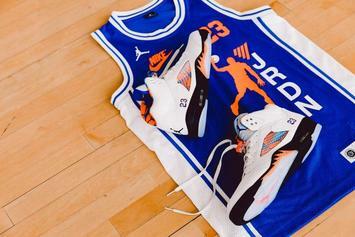 Inspired by jerseys worn by MJ during a 1990 exhibition game in Barcelona. 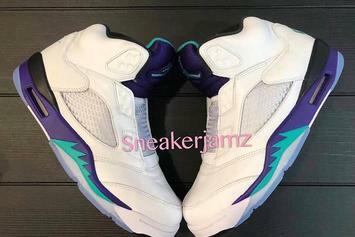 Laceless Grape Air Jordan 5s are in the works. 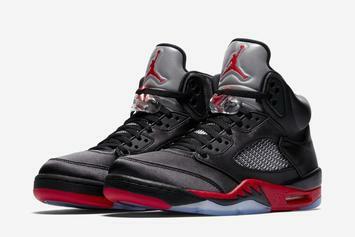 Nike introduces the Satin Air Jordan 5. 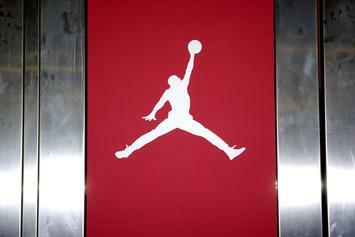 A new "Wings" Air Jordan hitting retailers this year. 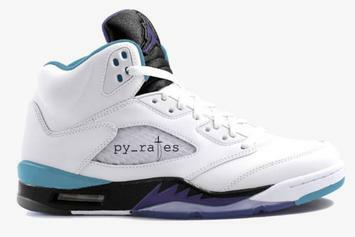 An alternate "Grape" 5 might look something like this. 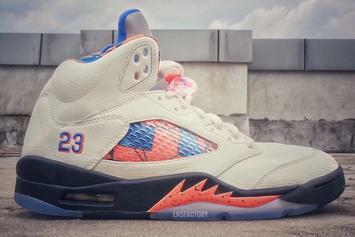 Knicks vibes on this "International Flight" Air Jordan 5. 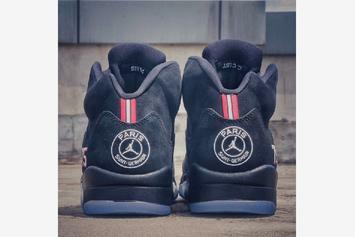 PSG Air Jordan 5s revealed in detail. 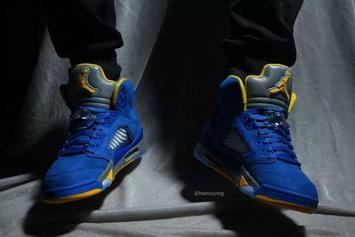 NYK 5s rumored to release this year. 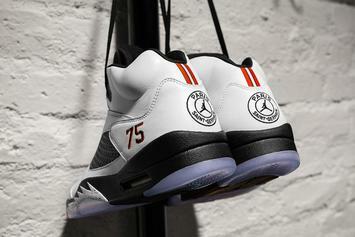 Everything you need to know about the "White Cement" Air Jordan 5 release. 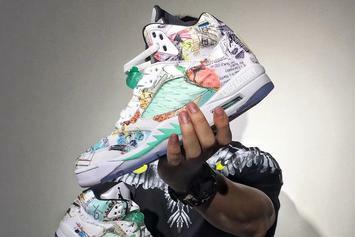 Check out the latest $400 Air Jordan 5. 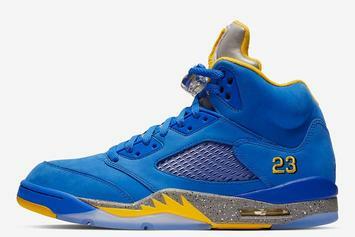 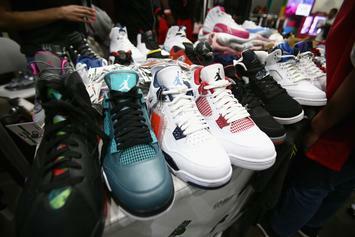 Everything you need to know about Saturday's Air Jordan 5 release. 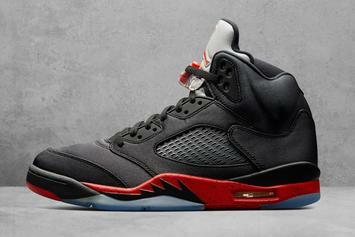 Our best look yet at the brand news Air Jordan 5.